Gov. Joe Manchin, right, presents Times West Virginian editor John Veasey with the Distinguished West Virginian Award in celebration of the editor’s 50th anniversary on the job, as first lady Gayle Manchin looks on. FAIRMONT, W.Va. – Former Times West Virginian editor John Veasey died Tuesday due to a stroke he had Monday. He was 82. After graduating from West Virginia University, Veasey was hired as a sports reporter on Oct. 3, 1958, for the Fairmont Times, the old morning paper in Fairmont. Veasey didn’t know it at the time, but he would go on to become one of the city’s biggest advocates in modern history. 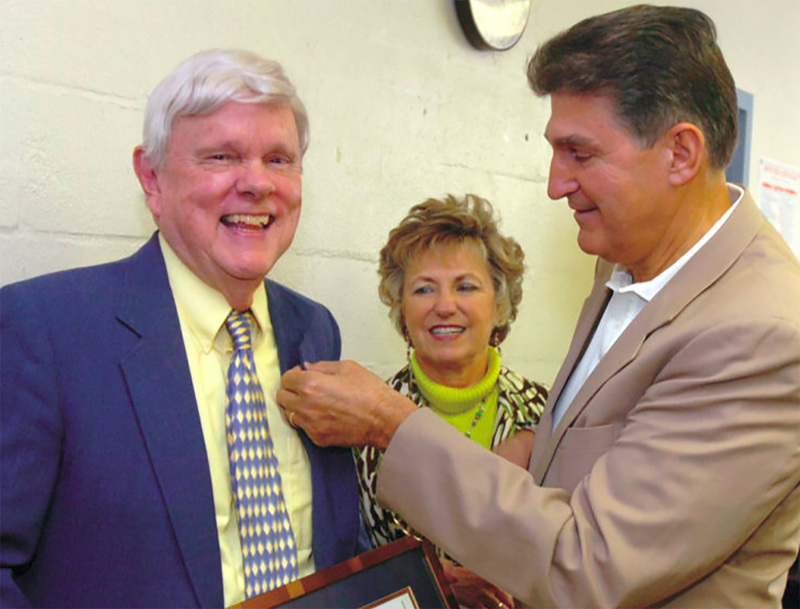 On June 28, 2015, Veasey was named editor emeritus where he continued “in his day-to-day role, including writing a daily column, sports columns, articles and feature stories.” Veasey retired from the Times West Virginian on Oct. 2, 2016, the close of a 58-year career at the paper. He continued writing a Sunday column for the Times West Virginian right up to his passing.